being little • bristol uk fashion & lifestyle blog. 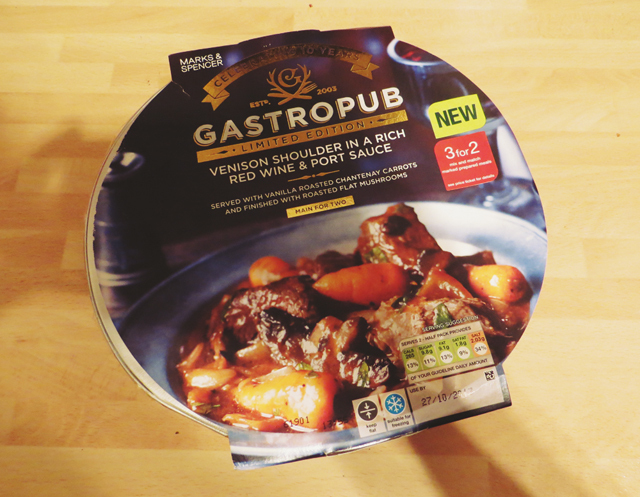 : marks & spencers limited edition gastropub ready meals. 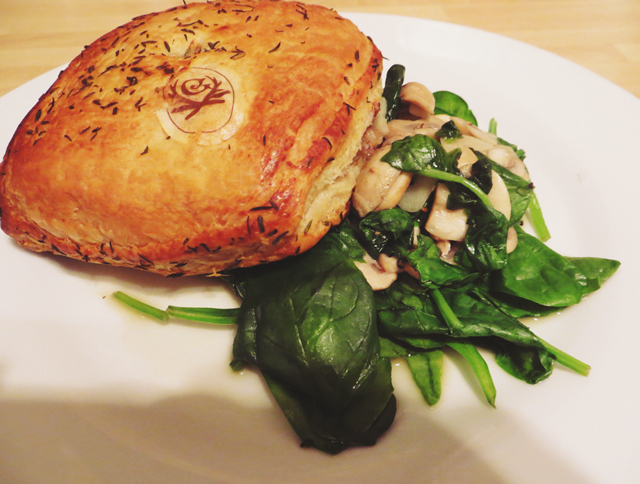 First up, we tried the beef wellingtons. 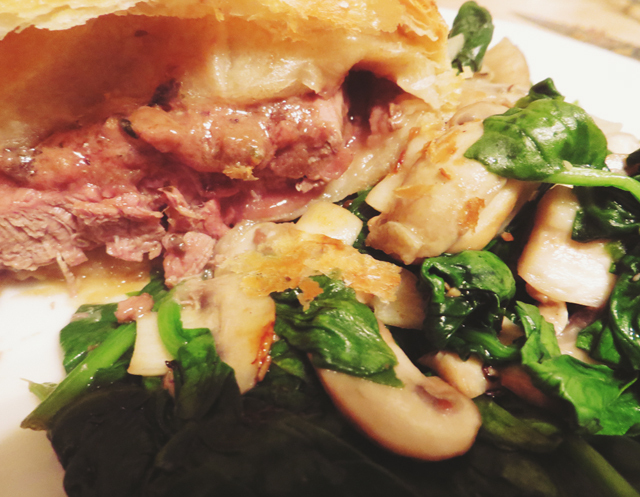 I love beef, and I love pastry, so I was really excited to try this. They puffed up beautifully, and were nice and juicy inside. They were prone to a soggy bottom due to the amount of liquid inside, but that didn't deter from the taste. We had a simple side of homemade garlicky mushrooms & wilted baby spinach with ours, which was a great accompaniment, but any good old veg (and maybe a spot of gravy!) would be lovely with this. 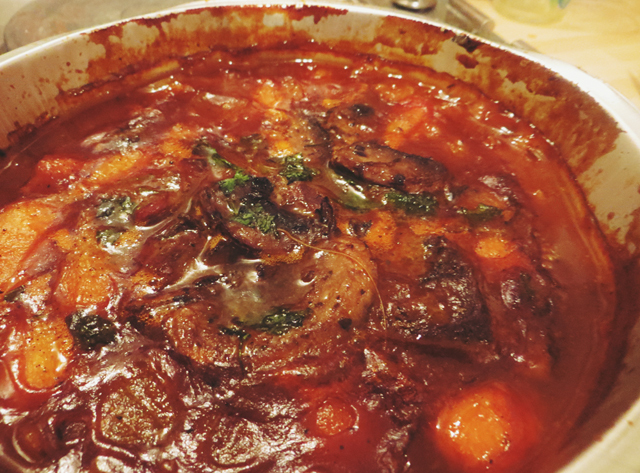 A day or two later, we indulged again, this time with the venison in red wine & port sauce. Venison! In a ready meal! I guess it's not just any old ready meal though.. This bubbled up nicely in the oven, and had that hearty stew smell as it was cooking. We added a bit of extra veg & wolfed it down. 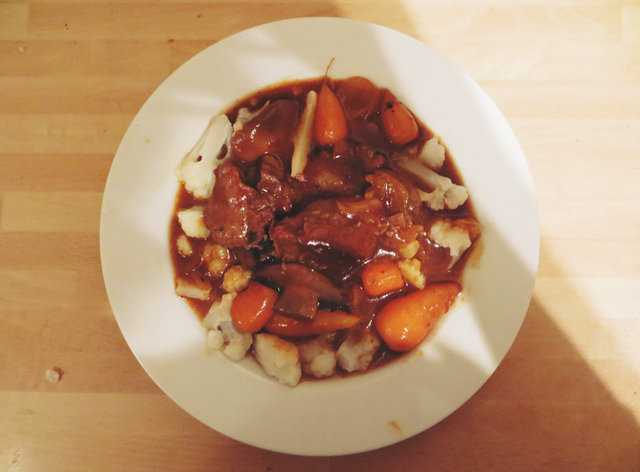 I loved the big old chunks of meat, and the cute little carrots. 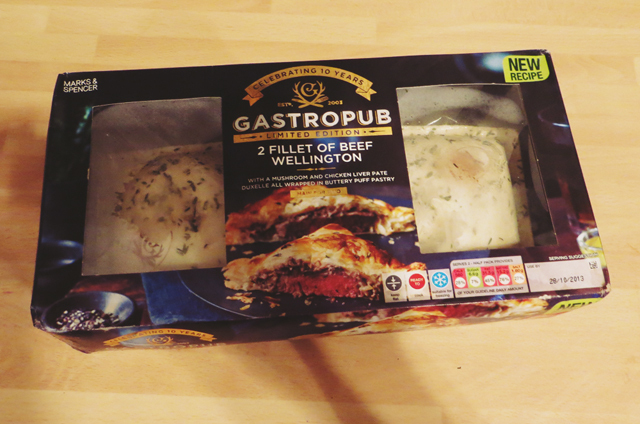 As far as ready meals go, these were brilliant. You could almost fool someone into thinking you'd made the latter one. However, as Doug pointed out, they don't even compare to home cooking. I take pride in making yummy, healthy food, but on a day that I'm not feeling up to cooking, these would definitely be my first choice. Oh my goodness I just stumbled upon your blog via the creative linkup and the first thing I see is Marks & Spencer! I spent a summer in England several years ago and one of the things that I miss the most is seriously the sandwiches from Marks & Spencer. I dream about them. Those have given me some serious tummy rumbles! I'm working all over Christmas so have been looking for something delicious that I can just shove in the oven... I might be popping to M&S to try some of these! I agree with Doug, home cooking is always best but sometimes I don't get home from work until 8 so a M&S pre-prepared meal is something I regularly head for. I just tried the M&S cook with range where you use one of their sauces or pastry bases to save time. You still feel like you have made something yourself but it's quick and easy. marks and spencers ready meals is in the top of my list of things i miss about living in the uk! they were always my go to choice whenever i was able to stay in a hostel with a kitchen.